February is almost over and I can not wait for Spring. I am already anxiously looking for daffodils and tulips to start popping up, although rationally I know I probably have a few more weeks to wait. Which is why I had to have a little Spring today. 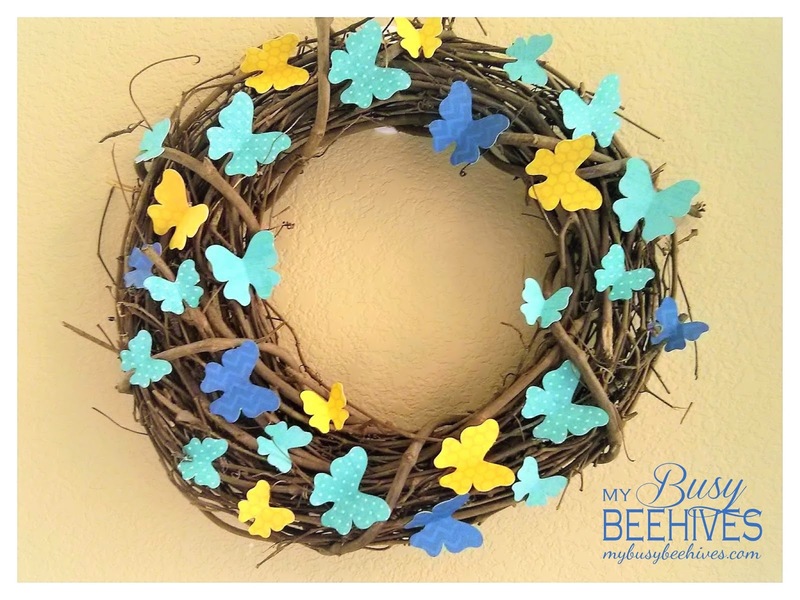 I made these colorful butterfly wreaths using grapevine wreaths and printed card stock butterflies. This item is now available for purchase at my online store. Click here to be redirected to Bear Hugs and Beehives! I also am wishing for the tulips to pop up! Although it has been a mild winter for us, spring is always such a welcome season! 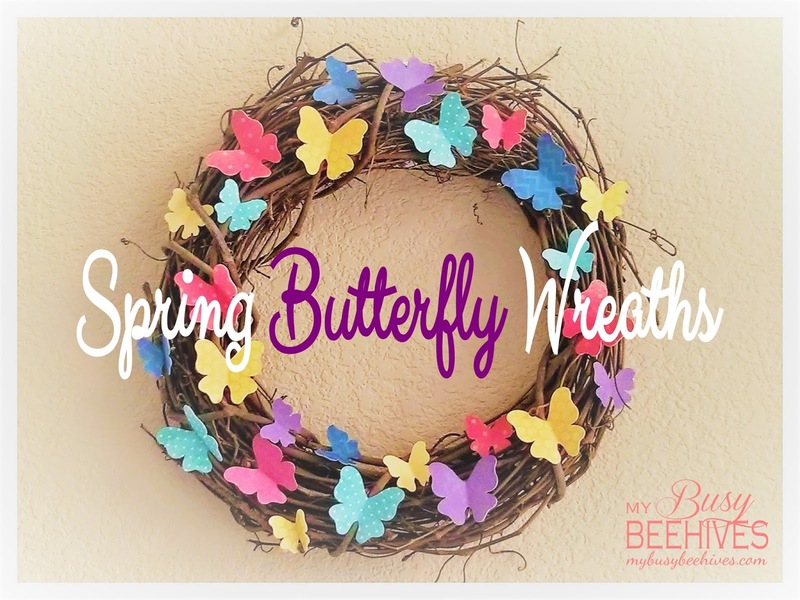 Your butterfly wreath is so pretty! Love the colors too. Pinned. Thanks for sharing! I can't wait either! Good luck on your own wreath! So cute! Can't wait for spring! Oh I love those! 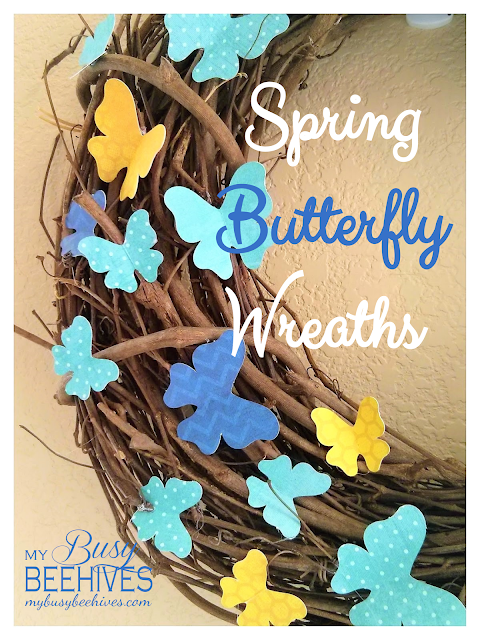 I have a fascination with butterflies... Pinned to try! Thank you so much! This is my only daughter's favorite... she loves butterflies, too! Julie this is such a bright and cheery wreath! 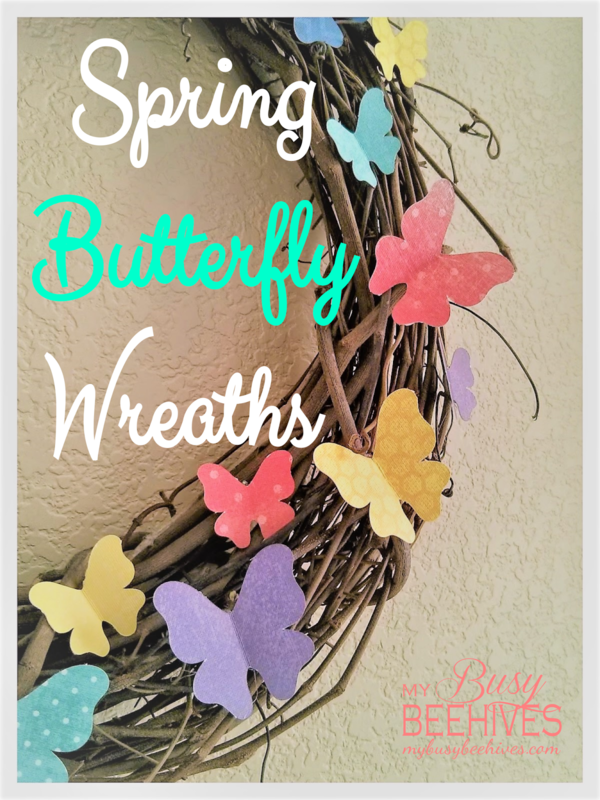 I love all of the sweet butterflies dancing all over the wreath! Pinning and sharing all over the world! Thank you so much for the compliments! Thanks for sharing, too! These are such pretty wreaths, I have a friend who is mad about butterflies, I'll send her the link. Thanks for sharing at #HandmadeMonday. I had never thought of that, but you're right, it would make a great Mother's Day gift! Thanks for the idea! I love butterflies, too! Thanks for stopping by. 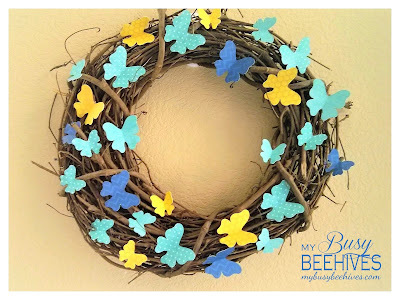 hi, just letting you know that Two Chicks and a Mom chose your cute wreath as a feature from the Celebrating Spring Link party--hope you can stop by!